For all of the things folks are supposed to do...and don't, we make New Year's Resolutions. The same is true in golf; most players state the obvious...that they will practice more, that they will stretch before every game and that they will stay in the moment but here at Golf for Beginners we take it one step further by offering readers real resolve that will stick. 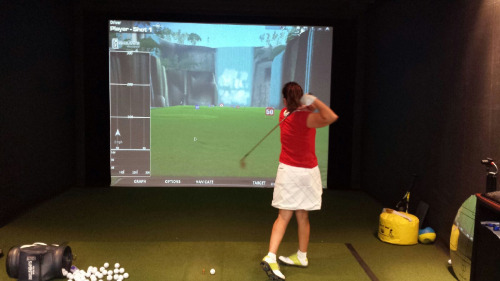 Therefore, this golfer has put together a short list of resolutions for the New Year. Feel free to add your resolutions in the comments section of this golf blog. 1. I resolve to not only practice but to practice my short game. I will not only go to the range to bang golf balls with my driver, I will also set aside time (and some balls in my bucket) to chip, putt and utilize the short game area provided to me by my local golf course. 2. I resolve to remember my good shots and forget my bad shots. I'm sure readers of this blog have more than just a few memorable moments! 3. I resolve to NOT take gimmes but to put the ball in the bottom of the cup. 4. I will play the ball as it lies and not move it just because ... it's in a divot or my lie isn't good enough. (This golfer plays it as it lies but sometimes is paired with others who do). 5. Finally, I will happily help new golfers get involved ...and stay... in the game. Women, Seniors and Kids...It's tough enough getting folks interested in the game and it's even more challenging keeping them on the courses! What are your golf resolutions and have you kept your word from last year? Let us know in the comments section of this golf blog and on Twitter @Golf4Beginners. As the New Year draws closer, Golf for Beginners would like to take this opportunity to thank all of our readers for their comments and discourse. We are excited to bring you more tips, more tech and an interesting perspective with each 2016 post. That being said, since the end of the year is always time for reflection, we wanted to review our top stories in golf, and why they were chosen. 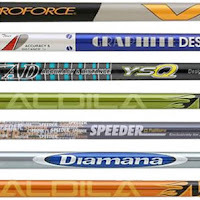 Many of our more popular blogs were instructional while several talked about proper club fitting and the top sticks for your game. For club enthusiasts, popular blogs included Which Golf Irons Are Best for Beginners and Which Golf Drivers Are Best for Beginners. 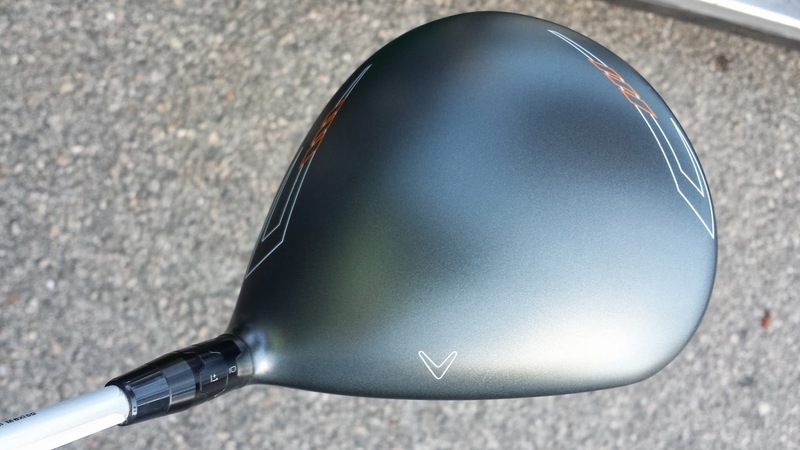 Golfers are always interested in game equipment improvement and knowing which clubs are rated a certain way and why so we also added an update to our drivers blog. 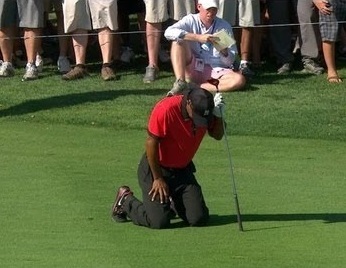 Sparks also flew when Tiger Woods' name was inserted into any blog (wonder why?) Travel blogs from Scotland to Myrtle Beach and opinionated blogs also made the grade. "Golf is a sport, a game and a heritage all wrapped up in one. Making changes now will certainly impact the future - looking back fifty years, I hope fans continue to see the humility and civility of the game." We appreciate your support throughout the years and hope you will share our blog with your friends on your social networks. Did you know Golf for Beginners is one of the oldest blogs on the internet? GFB was started in 2004 to help beginners understand the game, breaking down some of the more difficult concepts into simpler terms. Have a Joyful Season and for those who have the weather in their favor, play good golf. Ready to purchase a new driver and don't know where to begin? Too many choices, brands and terminology making your head reel? Are you planning to test a few drivers to determine which one will replace the one already in your golf bag? After reading a Golfwrx.com article which attempted to predict the hottest drivers in 2016 by using PGA Tour players as a barometer, I realized that most players are amateurs and not likely to swing at nearly the same speeds, or with the same tempo, as a low-handicapper. At Golf for Beginners we believe that there is nothing more important than heading over to your local golf store, employing the services of one of the custom fitters on duty and getting properly measured for the correct club. - Know Your Swing Speed. A Golf Digest article mentioned that driver-distance potential is approximately 2.5 times your swing speed so, if your speed is tested at 75 mph, the ball should travel about 185 yards. - Driver Loft and Launch Angle, basically how high the ball flies after connecting with the driver head. What is the correct loft for you? Depends on your swing speed writes Golfsmith. "Players with extremely slow swing speeds (below 70 mph) seem to benefit from lofts of 18 or 19 degrees--roughly the same as a 5-wood." Tip - A club with more loft may carry the ball farther but with less roll. 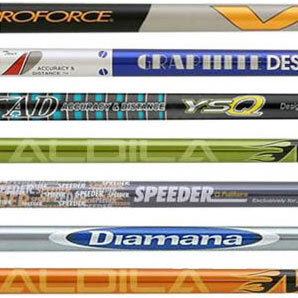 - The Shaft is probably as important as the head in selecting a driver. In a Golflink article, several shafts are reviewed based on clubhead speed and "ensuing ball trajectory, distance and control of the drive." Fujikura Golf, a leader in shaft technology, goes even deeper into the complexities of how to choose the correct shaft for your swing but, for this article, suffice it to say that "you will need a launch monitor and analysis by a seasoned club-fitting professional. That is the only way to understand why the golf ball is doing what it is doing off your clubs." When I went for my custom fitting experience at PGA Tour Superstore, the fitter analyzed my swing and, based on the data, pulled out several stock drivers, from the latest version of my Titleist driver to a new Callaway X2 Hot. After swinging each of the clubs several times, the data was compared and, with some shaft and size modifications, it was determined that the X2 Hot was the best performing driver for my swing. 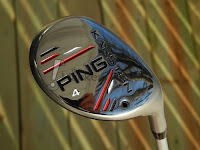 Since playing golf with this driver, I have gained about 30 yards in distance and, simply put, love my new club! The X2 Hot, along with my other fitted Ping Karsten Irons, have really made me feel more comfortable stepping up to each shot. Fitting a golf driver or any club to your swing greatly improves your enjoyment of the game because there is nothing more satisfying than when you connect with the ball and send it flying safely to its target! Let's talk golf drivers on Twitter @Golf4Beginners and comment on your experiences below! Also read, "How to Select the Best Golf Clubs for Women"
Another winter, another test of our mettle on the golf course... ...donning winter gloves, hats, ear muffs and layering with long johns definitely detracts from our game during the chilly season, ergo northerners have a tendency to get a bit rusty and snowmen tend to make an appearance. How can Northerners keep their golf games as fresh as the driven snow? GolfOnline.co.uk recently forwarded Golf for Beginners an infographic designed to help golfers keep the game crisp through the winter. We have chosen several interesting tips for you to be aware of in cold weather. 1. The golf ball doesn't necessarily go as far in the cold as it does during the summer months (unless the ground is as hard as a rock). 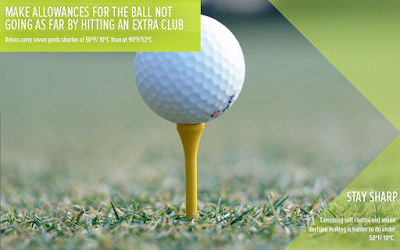 Learn the course before you play - make allowances by taking an extra (or one less) club, or playing with a golf ball designed for cold weather. Also remember to stay alert as the cold weather has a tendency to dull your focus. 2. Can't get to the golf course? Exercise at the Gym! 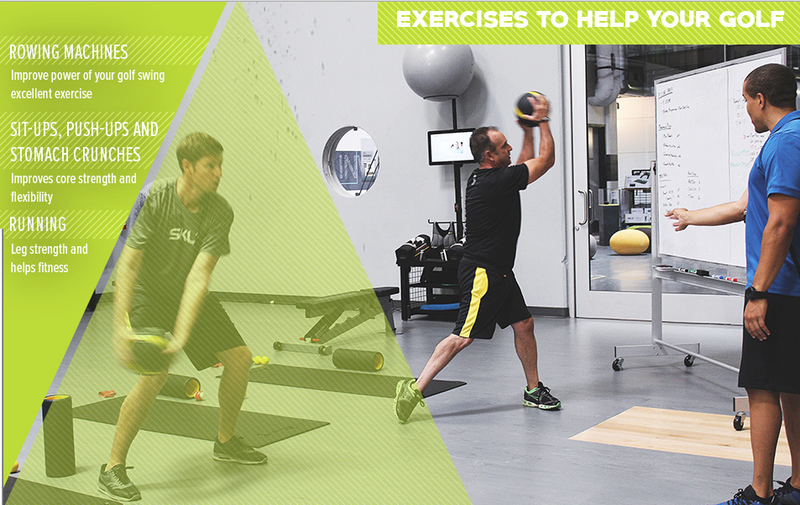 Schedule one workout per week on golf-fitness. LPGA golfers build strength and endurance with weights, kettle and bosu balls. Also include using rowing machines and adding good old fashioned sit-ups, planks and push-ups to your routine. 3. Practice Your Putting! You've probably heard this saying repeatedly and, as short game guru Dave Pelz confirms, "More than forty percent of all golf shots are putts, and over half of those are short ones." The Grumpy Old Golfer mentions in his book of putting tips, "Touch is one thing very good putters have in common. Touch is the core ingredient for long term success.". Is the final putt of each hole as important as the first drive? Probably more so as you can recuperate after a wayward drive but each putt is meant to finish out the hole so its importance becomes magnified. Practice your speed and touch around the greens and you'll be ready to roll at the start of spring. What golf tips do you have to keep Old Man Winter at bay? Let us know on our Golf for Beginners blog and on Twitter @Golf4Beginners. Tim Finchem was only joking when talking to Tiger Woods about media reports of his demise. "I thought he was actually dying. Tiger, you're supposed to be dead." Believable repartee after a woeful press conference recently held by Woods. Still kicking, Tiger Woods will make an appearance for fans this weekend and will try to enjoy himself in the process. A "Who's Who" of golf's top ranking players will converge in the Bahamas this weekend at the Hero World Challenge with Tiger Woods in attendance. No, Woods will not be playing at this event; he will be announcing from the broadcast booth. Although the press conference showed a sad, defeated Woods, the website of the once-former-World's Number-One Golfer has "squelched" all rumors of retirement and mentions Tiger is working on a comeback to the game he misses. 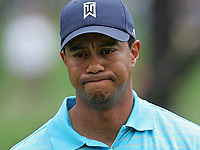 "I'm hoping that I can get back out here and compete against these guys," said Tiger Woods. "I really do miss it." A sidelined Tiger is not committing to play golf anytime in 2016 and, from his blog, he looks more eager to get back to scuba diving and playing soccer than having another go at the fairways and greens on which he took first place in seventy-nine PGA Tour events. Without Tiger Woods on the greens but showing his face either in the broadcast booth or as a 2016 Ryder Cup Vice Captain, will golf lose it's viewership? One opinion from a Marketwatch.com columnist is that, based on Nielsen ratings, Tiger Woods out of the scene brings viewership waaaay down and that, "when he’s not playing, TV viewers aren’t watching." As Tiger Woods calls the action, a new generation of golfers will take to the Albany golf course, from the current World's Number One, Jordan Spieth, to Zach Johnson. Will you be watching for the golf or to see Tiger Woods calling the action? Join the Conversation on Twitter @Golf4Beginners and comment below on our Golf for Beginners blog!